Jesselton Point is a jetty in the capital of Sabah, Kota Kinabalu. 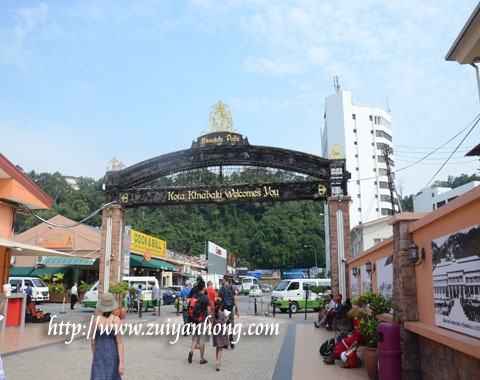 Located at Haji Saman Road, Jesselton Point is not far away from Suria Sabah and Eden 54 Hotel. 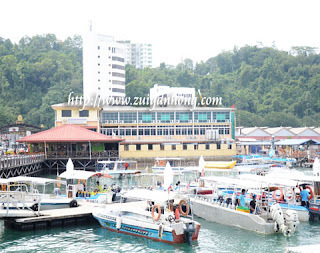 From Jesselton Point, tourists can board a speedboat to Tunku Abdul Rahman Marine Park. 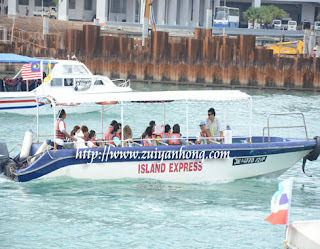 There are several speedboat companies offer services to public and tourists. 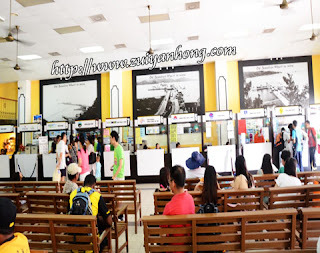 Passengers buy tickets base on the destination they wish to visit. Green Holiday is a speedboat company at Jesselton Point. 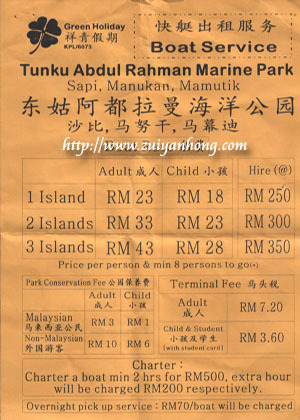 This company carries passengers from Jesselton Point to three of the islands of Tunku Abdul Rahman Marine Park. These three islands are Pulau Sapi, Pulau Manukan dan Pulau Mamutik. The speedboat companies possess sufficient speedboats to fulfill the demand. They also provide excellent services and get good response from the clients. We boarded a speedboat of Island Express to Sapi Island. 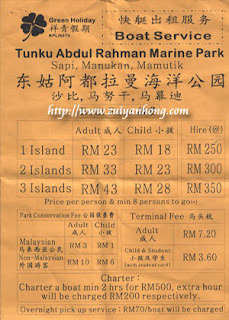 Besides paying RM 23 for boat ride, every passenger has to pay RM 7.20 for jetty tax and RM 3.00 for marine park tax.